The British luxury automaker Jaguar unveiled its first SUV, a crossover called the F-Pace, in Germany on Monday. 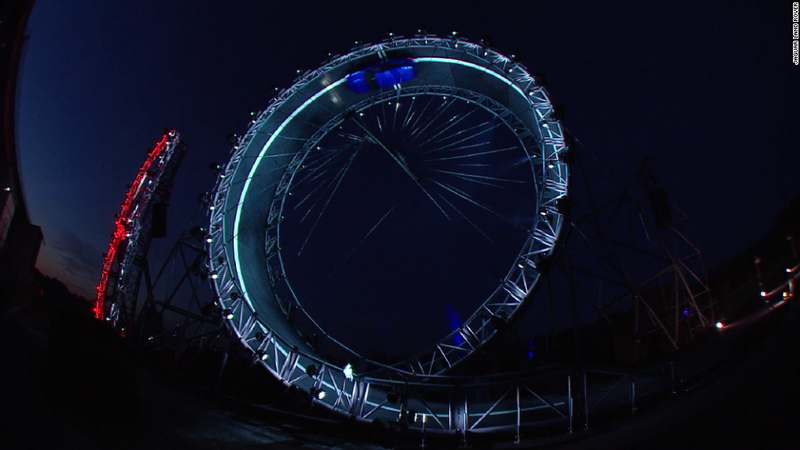 The debut, which included a stunt driver going through a Hot Wheels-style loop in the SUV, came a day before the Frankfurt Motor Show, opens Tuesday. A concept version of the SUV was unveiled in 2013, also at Frankfurt. In January 2015, Jaguar announced it would make a production version to be built in the brand's factory in Solihull, U.K. It was surprising for Jaguar to create an SUV because its sister brand, Land Rover, produces nothing but SUVs. Both are owned by India's Tata Motors. Land Rover's sales have been taking off in the United States while Jaguar sales have been struggling. Almost all luxury automakers now offer at least one SUV in their line up. Even exotic ultra-luxury brands Rolls-Royce, Lamborghini and Bentley have announced plans to produce SUVs. Bentley unveiled its new SUV, the Bentayga, at the Frankfurt Motor Show, as well. The Jaguar F-Pace will be more car-like than the SUVs Land Rover produces. Some design elements of the F-Pace, such as the narrow tail lamps, are borrowed from the Jaguar F-Type sports car. The SUV's steering and suspension were tuned for on-road driving control and feel, according to Jaguar. Jaguar boasts that the F-Pace does have real off-road capability, however. 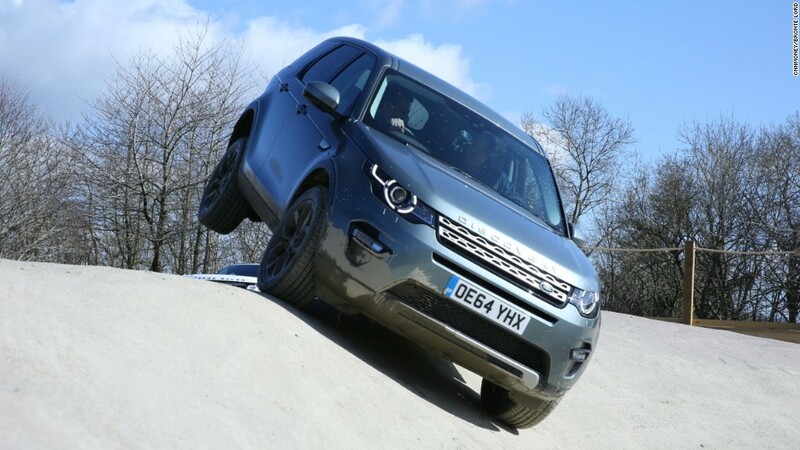 It was tested at Land Rover's tough proving ground at England's Eastnor Castle, as well as in deserts in Dubai and at Jaguar Land Rover's winter proving ground in Arjepelog, Sweden. 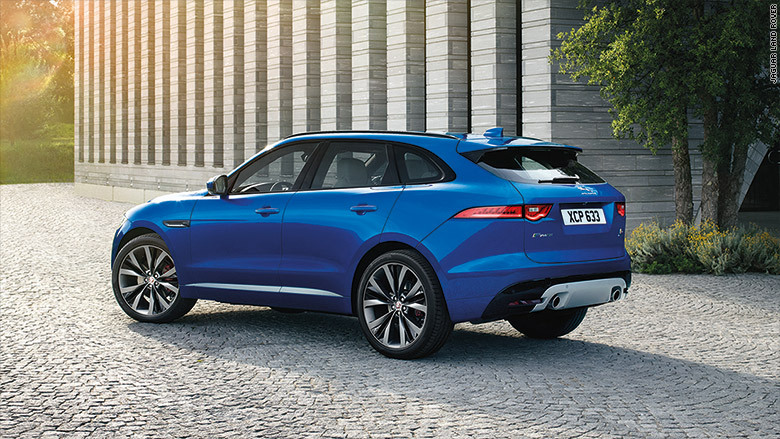 The F-Pace features a number of new technologies. It will be the first Jaguar to offer automatic emergency braking, a system that will apply the brakes automatically if an impending collision is detected. It will also offer an available traffic sign recognition system that will inform the driver of speed limits based on the actual signs as well as on GPS data. The F-Pace will be offered in the United States with a choice of either a 380- or 340-horsepower V6 engine, both supercharged, or a 180 horsepower 4-cylinder diesel engine. All models will have an eight-speed automatic transmission and full-time all-wheel-drive system. The most powerful version will be capable of going 60 miles per hour from a stop in just over five seconds, according to Jaguar. Also coming to market soon for Jaguar will be a new entry-level sedan, the XE, designed to compete directly against cars like the BMW 3-series and Mercedes-Benz C-class.